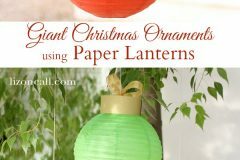 When I was putting together our camp crafts roundup the other day, it got me thinking about all of the crafty things I used to do when I was a kid. One of my favorite things to do was weaving on a drinking straw loom, a project I learned in girl scouts. The result is a strip of woven fabric, perfect for use as a belt or scarf. You can vary the width of the finished piece by changing the number of straws; more straws yields a wider strip. Figure out how many straws you are using. (I recommend at least three. You can add as many straws as you want, but once you get to more than 5 or 6 they start to become a little unruly and more difficult to handle.) 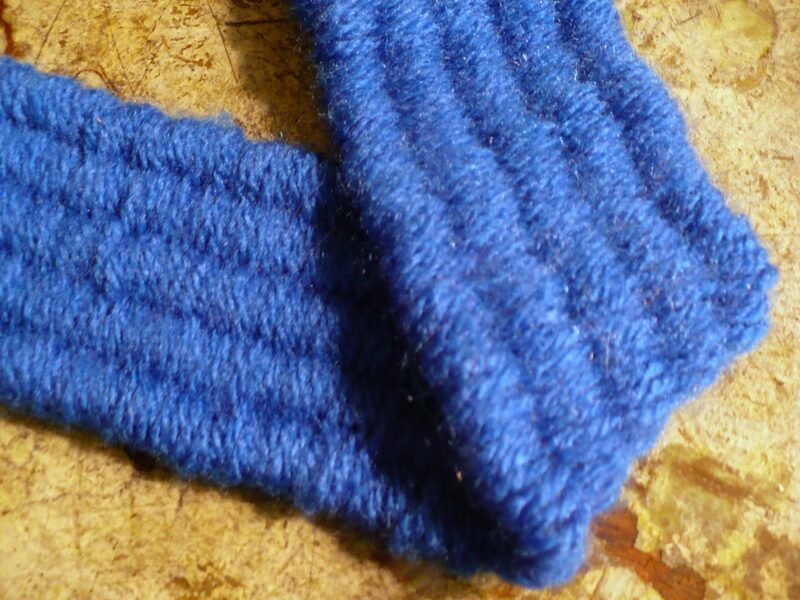 For each straw, cut a piece of yarn a few inches longer than you want the finished piece to be. 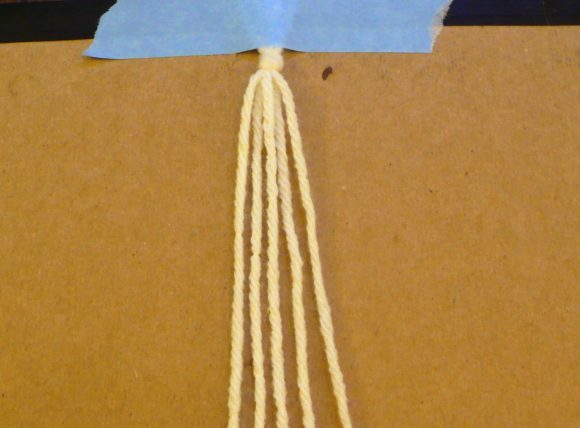 Tie the ends of the strands together with an overhand knot and use tape to anchor them to a piece of cardboard. 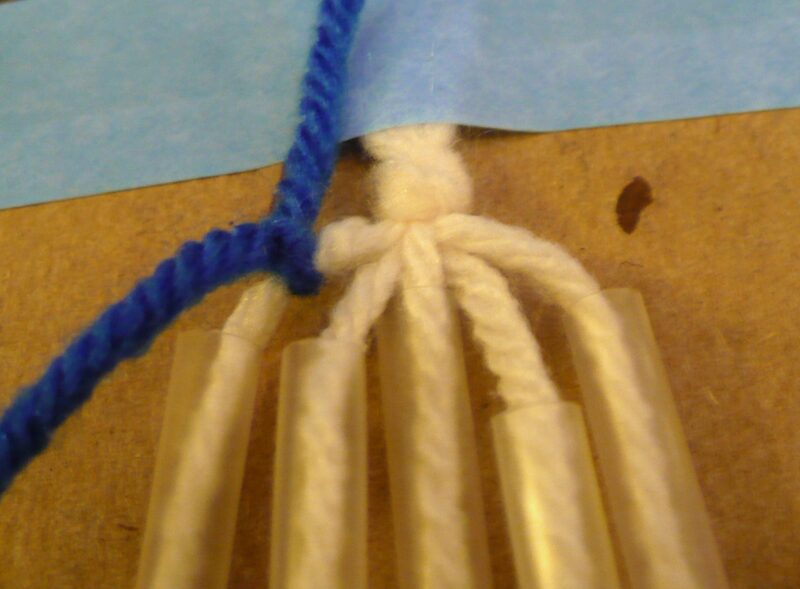 Feed each strand of yarn through a drinking straw, sliding the straws all the way up to the knot. Tie the end of another piece of yarn around the first taped-down strand. Weave the yarn over and under the straws. Keep the weaving as tight as possible. As the straws become wrapped in yarn, slide the straws down to re-expose them. 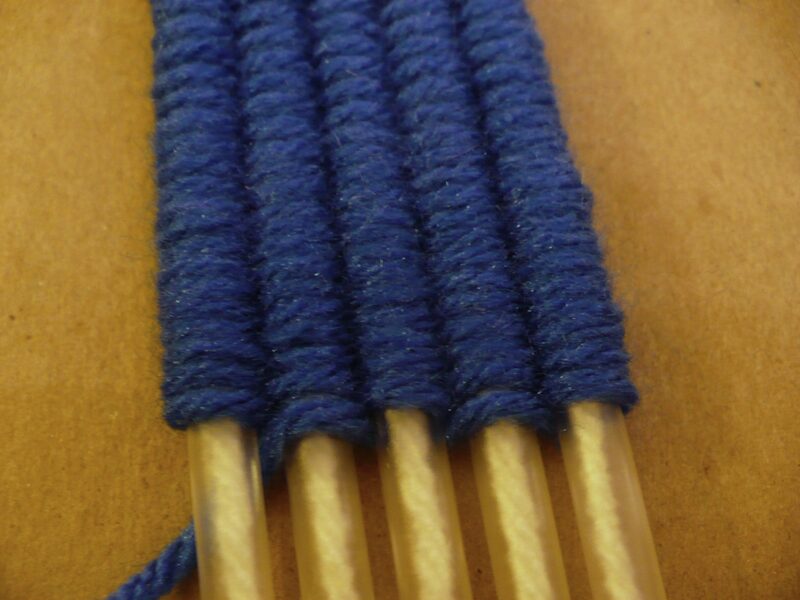 Continue weaving until your piece reaches the desired length. To finish the end, tie the weaving strand and all of the base stands together in an overhand knot. 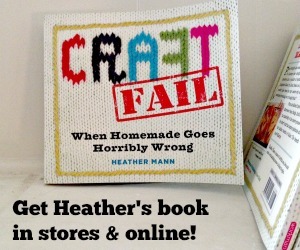 Now the only question is, what are you going to do with your yarn weaving? Whatever you choose, you’ll have fin making it! I love this! You could use it as a belt or a handle on a lightweight bag. How fun! This is a perfect summer project. This is way cool and medieval except for the drinking straw part. Love it! This looks so fun! A great activity around the kitchen island on a rainy summer day. This is so cool! I remember doing drinking straw weaving loom in one of my creative activities for childrens class back in the seventies. Thankyou for the reminder! I am just curious if you could actually do this to make squares, or even the strips, and then stitch them together somehow and make a blanket? I’ve been trying this on and off for a few days, and I just can NOT make it work! The straws keep slipping down, the strings keep getting tangled, and the whole thing is giving me nightmares. lol Any idea what I’m doing wrong here? 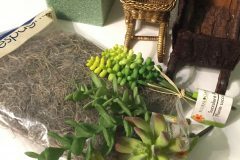 @Maeve – There are a few things you can try to make handling the strings and straws a little easier. 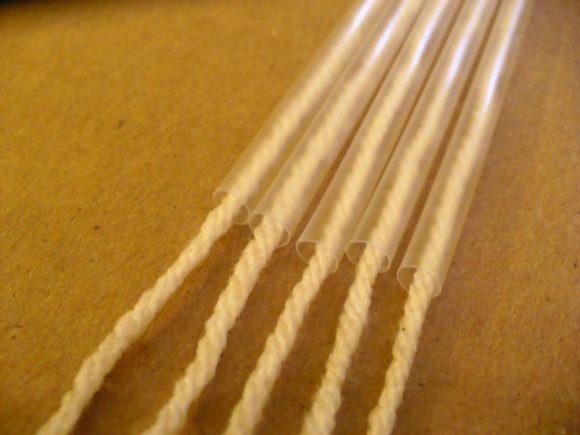 First, try wrapping the bottom ends of the straws with tape to hold them together; make sure they are all laying flat, then carefully tape around all of the straws so that they stay together. Masking tape works really well for this because it is easy to move or adjust if needed. You can also try putting the straw loom on top of a piece of stiff cardboard, then taping over the bottom ends of the straws to hold them in place. With the cardboard option, you can also tape the top of your weaving project down as well, which you might find helpful in keeping the strings untangled as well. 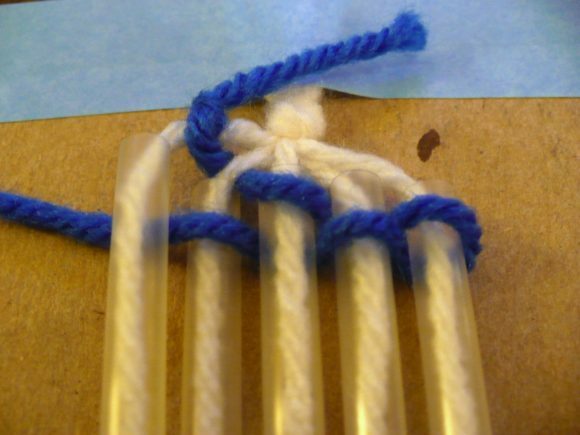 If the strings you are weaving around (the ones going through the straws) are longer, try wrapping up the excess with a twist tie or a clip to keep the ends from tangling while you work. I hope this helps, let me know if you have any more questions! I did this before and loved it! I had forgotten all about for a little while i will defenitly have to try this again!! 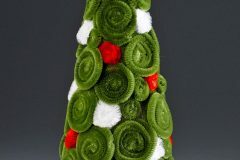 If you used a rougher, scratchier yarn, they could be bath back scrubbers! Leave the end yard pieces longer so you can braid them into handles. 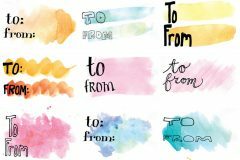 :) Love this idea to use with kids!